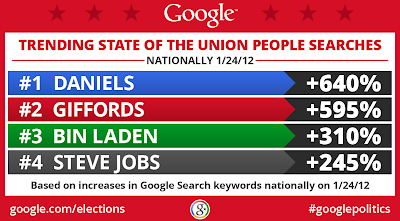 Politics & Elections Blog: Who and what were State of the Union viewers searching for? 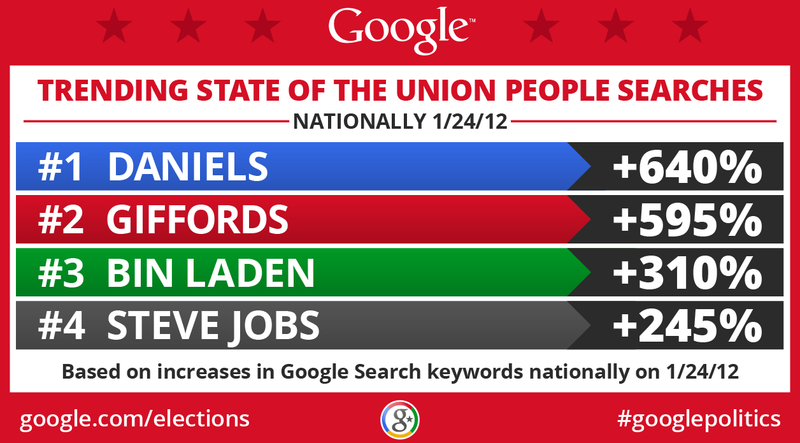 Who and what were State of the Union viewers searching for? in front of Congress. In approximately an hour and a half, the President touched on numerous issues, both domestic and foreign; this is also true for Indiana Governor Mitch Daniels, who delivered the Republican response to the State of the Union. 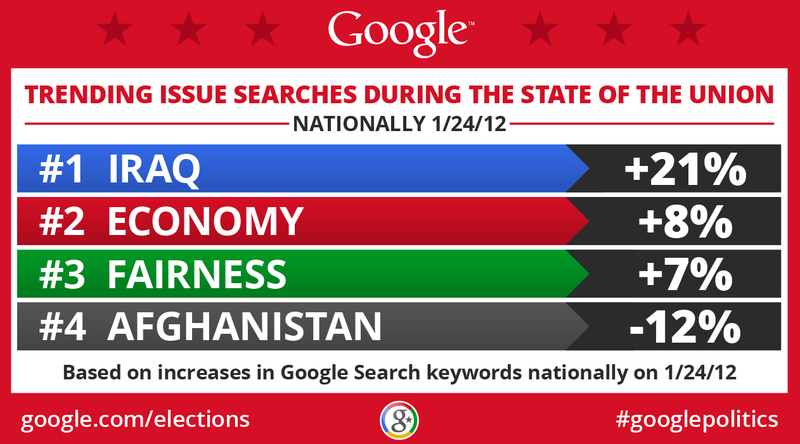 With such a buffet of issues and people name-checked during Obama’s speech, Google Politics & Elections took a look at what search terms experienced substantial increases during the event. 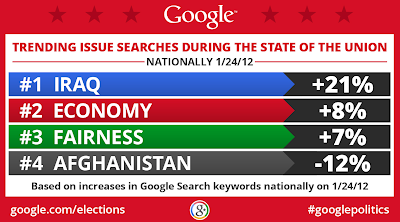 In the second graphic, we narrowed the field to the names of individuals that increased in nationwide searches. Arizona Rep. Gabrielle Giffords, who announced recently she would step down from her seat to focus on her recovery, trended only slightly behind Gov. Daniels. Last night, President Obama delivered his annual State of the Union address in front of Congress. In approximately an hour and a half, the President touched on numerous issues, both domestic and foreign; this is also true for Indiana Governor Mitch Daniels, who delivered the Republican response to the State of the Union.